"We have the ones youre looking for!" Enjoy viewing our beautiful daylilies! See the navigation guide on the left. We have the ones you're looking for ! Hardy daylilies ! Northern-grown daylilies ! Montana daylilies ! Beautiful, perennial landscape plantings ! 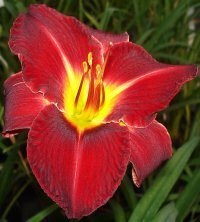 See Spring Fever Daylilies also on Facebook. We offer you daylily varieties from which you'll find your favorites. These include beautiful colors, smaller and larger blooms, doubles and spider forms, and beautifully patterned varieties. 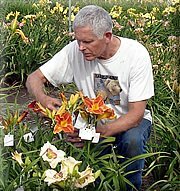 Daylilies are easy-to-grow perennial plants, and very rewarding, with blooms of all sizes and colors. You'll find there are some to bloom in any part of the growing season. Here in the Rocky Mountains of western Montana, Zone 4 / Zone 5, our on-going goal is to grow and develop for you hardy daylily varieties. Daylilies are the perfect perennials for your yard, garden, or perennial bed. 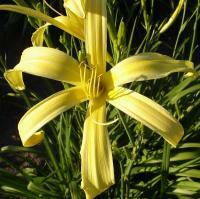 You'll find a place for daylilies in your landscape situation, naturalizing or gift-giving. Bare root, two-fan plants are freshly dug for shipment to you, May 1 through first week of September. 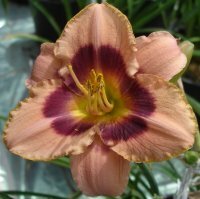 Click on Daylily Gallery to make your choices. Please call 406-826-3214 or click email to ask any questions.